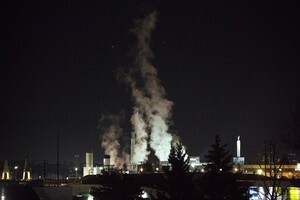 by Tom Banse Follow Northwest News Network March 7, 2019 8 a.m. The utility-scale solar farm is sited partly on private ranch land and partly on state-owned land. 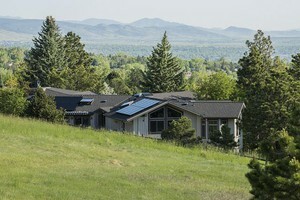 Washington State Commissioner of Public Lands Hilary Franz said the long-term lease with the solar developer is the first of its kind for her agency. It’s far more lucrative than the cattle grazing lease it replaced. Franz said her agency has been working with ranchers to explain that the state has an obligation to put its working lands “to highest and best use.” She said the state Department of Natural Resources would look for other grazing lands to lease to displaced ranchers who are willing to relocate. Copleman, a spokesman for Avangrid Renewables, said the company has lined up a customer for the 150 megawatts of output from the large solar farm, but declined to reveal the customer’s name. That amount of solar generating capacity could power 15,000-18,000 average Pacific Northwest homes, according to calculations from the Solar Energy Industries Association. 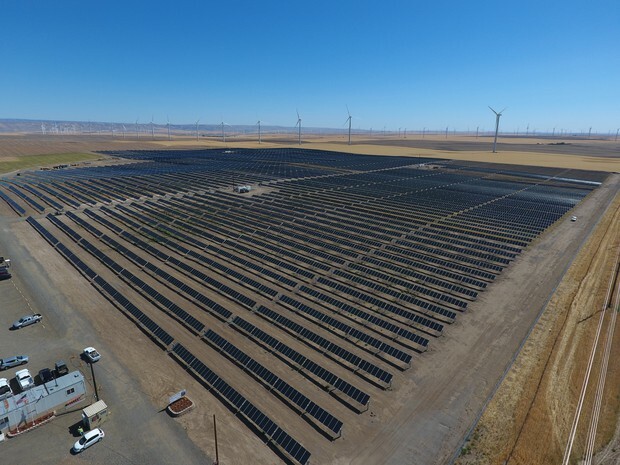 Avangrid operates wind farms in both Oregon and Washington state and has a growing portfolio of utility-scale solar projects including the recently-opened 10 MW Wy’East Solar project near Wasco, Oregon, and the 56 MW Gala Solar Plant near Prineville, Oregon. The Gala Solar project was the largest in Oregon when it opened in late 2017. 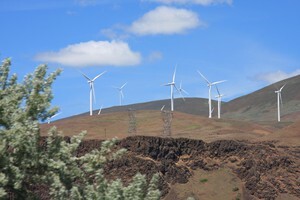 It supplies renewable power for a nearby Apple Inc. data center. 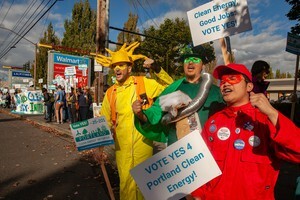 The Wy’East project supplies Portland General Electric. Avangrid Renewables is a subsidiary of Iberdrola Group, a Spanish energy company with worldwide operations.